Welcome to the official virtual book launch of a brand new fairytale, Ebon Black and the Seven Dryads!!! Come on in, have a seat, grab a drink (or maybe an apple - that never hurt anyone, right? ), and settle in for a spell! BOOK LAUNCH: Change Your Status!!! Ebon Black and the Seven Dryads has officially been unleashed upon the world! In this new twist on a classic tale, a young boy (Ebon Black) must contend with an evil stepfather who wants to kill him to keep Ebon from becoming The Richest Of Them All! Losing his memory after the attempt on his life, Ebon is rescued by seven lovely Dryads: Joc, Weepy, Cranky, Glitzy, Nerdy, Needy and Pam. Together, they race to find a way to get Ebon back home safely in time to claim his rightful place in society. Now you can join in the fun by changing your status on Twitter, Facebook, etc to something announcing the arrival of this brand new book, launching today!!! Search for Ebon-related pages on Facebook for even MORE fun! See after the jump for status update ideas, and help spread the word! There are 7 (!) SIGNED copies of Ebon Black and the Seven Dryads being given away as part of the Goodreads First Reads program! Contest ends September 30th, so head on over to http://www.goodreads.com/ and enter now!!! BOOK LAUNCH: One Week To Go!!! One week from today I will be selling and signing copies of my new book for kids, Ebon Black and the Seven Dryads ! I will be in person all day at Wordstock in Collingwood, ON, but I'm also organizing a virtual launch online to coincide with the in-person event! There will be some goodies here, and a bunch more on my Facebook page. There is currently a giveaway happening over at Goodreads, as well. I plan to blitz the world with Ebon all at once, and hope to gain some notice, while giving people like YOU a chance to have a little fun in support! There's even a word search - in the shape of a happy face, no less! A contest will then be underway, in which people will be able to create their own artwork for the book, submit it to a special email address, and have a shot at winning a free copy of the 1st anniversary Kids' Edition, which will have the winners' full colour illustrations included, as well as their names in the credits! It's a bit of a different approach, and my hope is that readers will get as excited about the possibilites as I am! So keep an eye out here and on Facebook, for more and more information and goodness will become available as we approach September 10th! In Leah's Wake - Excerpt!!! Friday, Fun & games based on the book! We want to close this whirlwind social media tour with a gigantic bang, which is why we've set-up two interactive book-themed features on the author’s blog. You can take the official Facebook quiz to find out which In Leah's Wake character is most like you and learn how that character ties into the story. Then try out our crossroads story game. Throughout the course of the narrative, you'll have several decisions to make. What you choose will affect the outcome of the story. Play as either rebellious teenager Leah or the trampled peacemaker and mother Zoe. Leave a comment or question on any of Terri’s blog entries, and you may win an autographed copy of In Leah’s Wake. Don’t forget to check out the other give-away contests while you’re on Terri’s blog! In Leah's Wake - Author Interview!!! In Leah's Wake Social Media Whirlwind Tour!!! New Book Alert!!! Ebon Black and the Seven Dryads is now available!!! 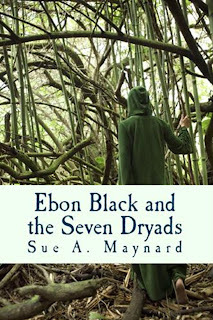 Just a quick note to say that I have FINALLY published Ebon Black and the Seven Dryads!!! At the moment (because I just clicked the button a few minutes ago) it is only available on CreateSpace, but soon - very soon - Ebon will be available for sale in both paperback and e-book versions on Amazon, Smashwords, and several other locations across the World Wide Interweb. Also, he will be the subject of my very first book launch early in September! I will be at Wordstock in Collingwood on September 10th to sell and sign copies in person, but at the same time, I'm hoping to do a virtual book launch online, and I will be calling on some of my blogger and Facebook friends to help me out! Details to come soon! Finally, keep your eyes here and on my Facebook Author Page for information about the Ebon Black contest I intend to run. Well, it's not exactly a "contest", per se, but basically, I am hoping to get some illustrations submitted from kids all over the place over the course of the next year, with the intention of publishing a Kid Edition of Ebon Black, in celebration of its first anniversary! At the moment, there are random blank pages in the paperback version of the book. My hope is that I'll get enough submissions to release an awesome colour edition next year, and in return for the use of their artwork, each kid will get a free copy of the Kid Edition, with their picture and their name in the credits! There will be many many many more details on all of this to come very soon, I promise. Now that Ebon is finally on his way to being unleashed on the world, I am hoping to be able to update my blog a lot more regularly from now on! FREE e-copy of Carving The Light!!! Available now, through the end of July! It's poorly formatted, but it's FREE!!! Things have been busy. And I have been tired. I haven't really taken the time to write lately, which is why I haven't taken even more time (even less? wait...what?) 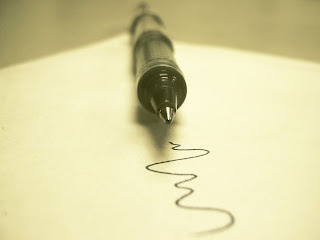 to write anything here. There's not much to update, really. Shawn Graham at IndieReads is featuring Carving The Light today on his blog, and including an interview with me tomorrow! Also, word is there will be more and more indie book reviews going up on the site, as well, so it's definitely a fantastic way to keep in touch with the indie book world! It's been awhile since I blogged, and honestly, this one is going to be very short, as well. I'm having some issues that are affecting my ability to write - and think - for very long at a time. So I haven't been as diligent in any area of my life lately as I would like to be. BUT I did finally manage to get my Five Questions answered for She Writes, and I couldn't be happier to be featured in such a fine forum of wonderful writers! I am new to the community over there, but so far they've all be really great and active, so I would highly recommend my other author-y friends to have a peek over there and get involved in the discussions, from time to time! Good grief - it's been awhile, sorry! I've been having problems with my eye for the past month, and most of my time off has been spent going to various doctor appointments to see if we can figure out what's wrong. There's no end in sight (haha - sight - get it?) just yet, but in the meantime, I have also managed to take some baby steps on a number of different things, so that's something! Okay! As expected, I did not make the cut in this round, but my reviews were posted much faster than anticipated, so that's good! My whole reason for entering the contest this year was to try and make it to this round, and get some feedback from the Amazon Vine Reviewers who worked so hard over the past few weeks to judge this crazy round. And now, for your reading enjoyment, here they both are! You can find 'em after the jump. I want to start off by saying that I won this book recently in a Goodreads giveaway and, apart from an interesting blurb on the back, I really didn't know what to expect. I was pleasantly surprised to discover how much I truly enjoyed reading this book! I was drawn into the lives of Dr. Ben Wasserman, and his wife, Renata Moon, right from the start. 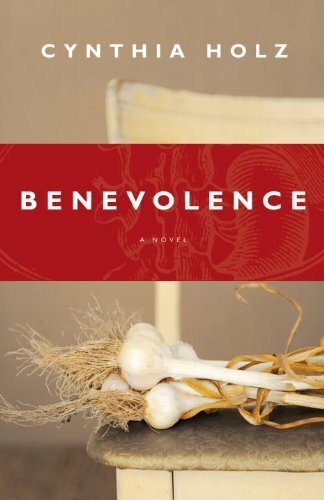 Ben is an organ transplant psychiatrist and Renata is a psychologist, but for two people who've devoted their careers to an ability and necessity built on communication with relative strangers, their own marriage is slowly falling apart due to their inability to communicate effectively with one another. Add in Ben's widowed mother, Molly, who's allowed a man from her past back into her life, and you have a recipe for awkwardness and misunderstandings, overshadowed by deep secrets on all sides. And yet, despite the frustration of watching from the inside as people struggle to keep their deepest feelings from those they love the most, I found myself caring very much about each and every one of them. Holz has created characters who are as real as they are flawed, and each one is painfully honest - not with one another, nor with themselves, but with me, the reader. So attached to these people was I that, when I turned a page to find myself suddenly at the end, a genuine sadness came over me and I was reluctant to let them go. There is a sense of smoothness and heartbreaking fluidity in Holz's writing style as she breathes life into these characters, and the people who inhabit their daily lives. Spellbound by their decent into darker places, we watch - equally entranced - as they find those tiny moments to breathe for; a bit of magic, to bring back the light. Wow...a lot has been happening lately! Or, maybe I should say, a lot has come up, and will happen later. Because I still feel as though I'm not moving in any direction at all...just kind of standing and preparing to move. I can't decide where to begin, so I'll just ramble off some of the stuff that's been going on since my last post. Holy crap - I made it! I just found out that I made it through the first round (Pitch) and into the second (Excerpt) of the Amazon Breakthrough Novel Award! I think I might still be in shock. Carving The Light on Kindle! What if Carving The Light was made into a movie? Who would you cast? That's the question posed on the ABNA message boards and, coincidentally, a subject which has come up a few times between some of my friends/readers and I since the book was first published. There have been MANY suggestions, some of which I agree with, and some of which I do not. And, truth be told, I had very specific and completely different people in mind while I was writing it. But let's face it, even if it ever were to be brought to life as a film, I would have NO say as to who got approached to star in it, so this is really my only chance to make my wishes heard. So here it is, take it or leave it. What follows is my first choices for who I think should play the main roles in the big screen adaptation of my book, Carving The Light. When young Ebon Black turns 21 years of age, he will inherit his deceased father's fortune, which would make him The Richest Of Them All. The current holder of that title, Malachite Vert, is determined that Ebon should not live to see his 21st birthday, and hatches a plan to get rid of him. He also happens to be Ebon's stepfather. Ebon survives the attempt on his life, but loses his memory in the process. He awakens to find that he's been rescued by seven young women known as Dryads, the Keepers of the Trees. They are Joc, Weepy, Cranky, Sleazy, Nerdy, Needy and Pam. In this new twist on a classic tale, it's a race against the clock as Ebon and the seven Dryads must work together to gain Ebon his memory back, find out if he can woo Pam, and return him home in time to claim his rightful place in society. 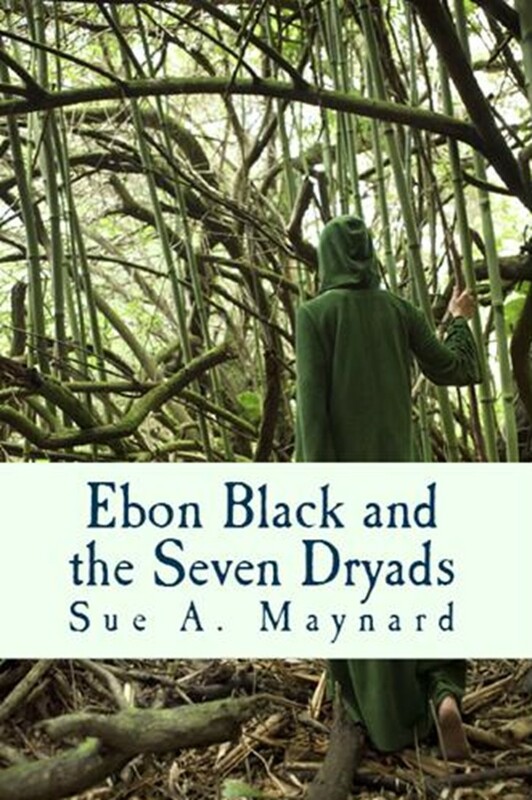 EBON BLACK AND THE SEVEN DRYADS is suitable for readers young and less-young; introducing them to an unforgettable cast of characters, some unexpected turns, and a moral for a modern age. The manuscript is complete at 20000 words. At least, that's how it seems sometimes. I only have a few minutes to write this post (I'm at work), so I'll make it quick! I got my ABNA entry in, easy peasy. I finished editing the manuscript around 11:25pm, then poured a well-earned rum & coke to celebrate. I'd fully anticipated that there would be a huge backlog of people all trying to upload their entries at the bell, and I was completely prepared for that. What I wasn't prepared for was having no trouble whatsoever, and being done within the first 20 minutes. I mean, I'd barely touched whatever number rum & coke I was on at that point! But everything loaded smoothly, except my author photo, which I took the time to resize to make it fit the entry form. Even with that, I was done quickly, and had some time to kill. So naturally I went to the contest message boards, and updated Twitter and Facebook. I'd been putting off a couple of other projects while I got my entry ready, so the next morning, I began to turn my attention back to them. Browncoat magnet sets. Ebon Black editing (and some huge waffling on how long it should end up being). And I got another idea for a book, this time a Young Adult fantasy-ish tale; the subject of which, to my knowledge, has never really been done before. So I am excited about that, too. OK, that's it for my lunch break - back to the day job! So here I am, one day and...a bunch of hours...to the time when the ABNA submission window will finally be open for 2011. I am nervous, excited, overwhelmed, fired up and tired. I've never entered before but, more importantly, this is my first practice stab at querying, and it's really all about the feedback and the experience, at this point! I'm still not entirely sure what exactly I want to write about, with respect to the contest, but I am feeling the need to sort of chronicle the experience, both for myself, and for anyone else who may be considering entering themselves. That being said, there is a very strong chance that I won't make it past the first round, which I thought would probably render all of my musings sort of moot. However, as I keep reminding myself, it truly is about the experience, and as with most things, even failure can be something to learn from. Sometimes you can even learn more. At any rate, have a look ahead to see where my pitch is at today. I have no idea how to write a pitch for a novel. I've never had to write one before, but now am struggling (and determined) to create one for Carving The Light . One which will hopefully get me through the first round of the Amazon Breakthrough Novel Award this year. I have no illusions of winning, nor even of making it past the second round. But if I can get TO that coveted second round, I will be one very happy first-time author! The hurdle I must face, really, is the Pitch. The first round is all about the Pitch. If the judges feel they want to read more, based on what the Pitch reveals about the novel, then on to Round Two I will go. If it fails to grab them, however, I'll sit back with the other 4000-odd entries that won't make it through. So I have to grab them. I have to find a way to lure perfect strangers into the world of the Collins sisters enough that they will want to read more about them. And they are good girls. They deserve to be read about!